AWARD has offered a 16-day in-house training course over four modules from May to November 2017. 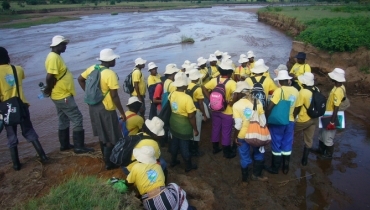 The course is designed for technical staff currently involved in integrated water resources management (IWRM) in the Olifants Catchment. AWARD supports civil society organisations to be more effective “watchdogs”. Two week-long Water Clinics for civil society organisations were held in June and August 2018. These provided an introduction to water resources concepts to build their capacity to understand and articulate issues as the basis for their own action.